When I got the news yesterday–Robin Williams killed himself–I first thought of that crazy Mrs. Doubtfire. After all, I grew up with her and in that role he made me laugh like none other. Then my thoughts moved to his family–a funeral being hastily put together–and a bright light snuffed out. And then, randomly, I thought of the moment in my life when I was most scared. And I promise it has a point. It was two years ago, and I was on my honeymoon. I was harnessed up tightly, gripping a climbing rope, dangling just above twenty feet up against a red rock face in Utah. My hands were clenched so tightly that the rope dug into my palms, and I trembled so much that I literally could not get my feet to move. I’m deathly afraid of heights. The tour guide, one of his kids, and even my husband climbed just above me, yelling down encouraging words and telling me step by step how to continue my climb. But I couldn’t move. My heart, my stomach, my overwhelming fear locked my knees and sent a wash of stars over my vision. I stopped climbing. I waited there for hours and I beckoned my husband to go on ahead and have fun. And the whole time I knew without a doubt there was no way I could follow. I couldn’t go on. This fear I had is only a small, insignificant fraction of the fear that Robin Williams had suffered through yesterday. It’s a fraction of the fear that a dear friend of mine–and even some of my readers–have suffered through while wading through a life, or through chemical imbalances, that prove to be too much. The inability not to move forward–on the edge of a life lived with depression or mental illness–is very, very real. It is not a choice. It is not a selfish act. Those who suffer are dangling from thin ropes, looking up toward the climbers who have gone on ahead with much ease, wishing and praying that their legs will move. That the climb can move forward. I’m not condoning suicide. Not at all. It’s a tragedy that should always be avoided. But I’m standing firm against those who say it’s an easy way out. Because it’s not easy. And it does anything except free the victim. I follow many bloggers–one of which wrote this–and my stomach hurt after reading it. I felt compelled to write on behalf of Robin, a star I’ve never met and didn’t even know personally. I felt prompted to write on behalf of those who are reading this right now, contemplating whether this is really a life worth living. I’m writing on behalf of those who have told me in private conversations and letters that the sadness–the despair–is a constant shadow that covers even the lightest parts of the day. I’m writing for the children of God who suffer from a sickness that makes them forget who they are and the divine reason that they’re here. 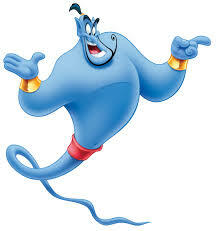 Mental illness caused Robin Williams to forget the millions–maybe billions?–of children who laughed at the magic Genie on Aladdin and danced around their living rooms. He forgot about the people who listened to his interviews about depression and drew strength from his candor about the illness. He forgot about his wife who slept in the other room and about his daughter, who is only my age, who loves her dad more than life. The illness–the fear that dangled him from a small rope on an impossible ledge–made him forget. This death shouldn’t make us preach about the atrocities of taking your own life. It shouldn’t make us debate about where someone’s soul goes when it’s taken by its own hands. Instead, it should make us look around more often and recognize the signs of depression in others. It should make us show more compassion to those who need extra love. And it should prompt us to get the help we need or help others to find the resources it’s going to take to help them make the climb again. Depression is real. Mental illness is real. And suicide is final. There is no room and no time whatsoever to say “he should have looked up” while on the ledge because we can’t judge the fear that paralyzed him while looking down. 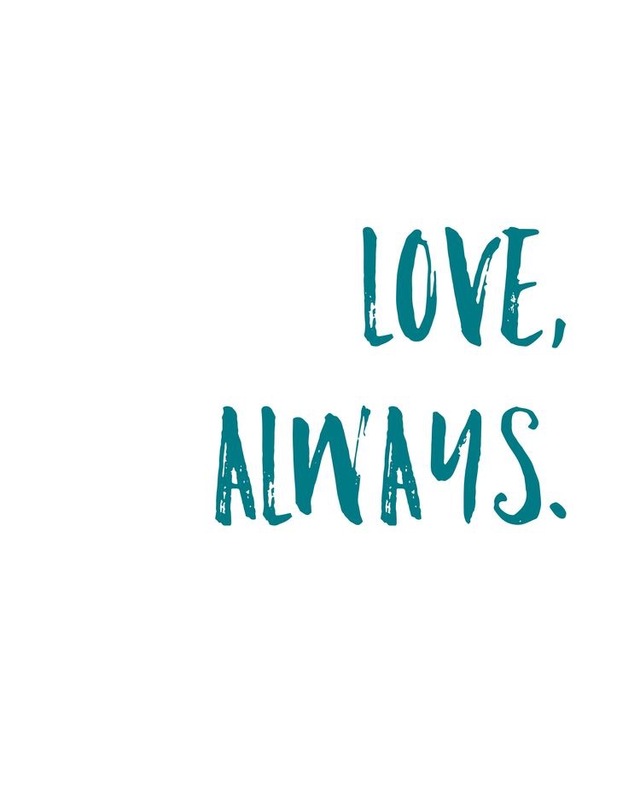 There is only room to love and to change the stigma that comes with an illness that is just as real as cancer. My heart goes out to the Williams family and to those who are going to spend this lifetime missing him. My heart is also on the ledge tonight, alongside those who still dangle in their harnesses, wishing they could move their feet. I hope your heart is there too. It’s the only way we can rescue our brothers and sisters. It’s the only way hope can be restored. Very well said and so true how fear can take control no matter how much faith you have. Thank you for sharing your thoughts on this. I feel nothing but compassion for what happened. Like you, I was troubled by Matt Walsh’s post. I see Robin Williams as a warrior who lost one battle, but won so many others. His life and the ultimate end affected me in such a way that I couldn’t rest without writing about it. I think a lot of us have felt that way. I love the idea that he won so many battles but lost this one! What a great way to put it! Funny people, and jokesters, are often exactly the opposite in their heads. It’s a smoke screen. There really is something to the old phrase, laughing on the outside, crying on the inside. Robin Williams was (is) one of my all-time favorite personalities. I didn’t always like his politics and he was sometimes too crass, but his talent and his goodness cannot be denied. I am going to miss him immensely but more than that I’m sad because he didn’t have to bow out. He fought the good fight but he didn’t have the troops to rally ’round like he needed. We’re ultimately responsible for our own actions – barring circumstances that render us incapable of making correct choices. But for those who think he took the easy, selfish, cowardly way out; cut your wrists then put a belt around your neck until you suffocate. After you take the brave path come back and tell us how cowardly Robin was. I never met him but I knew him on the inside. Beautifully written. I couldn’t agree more. 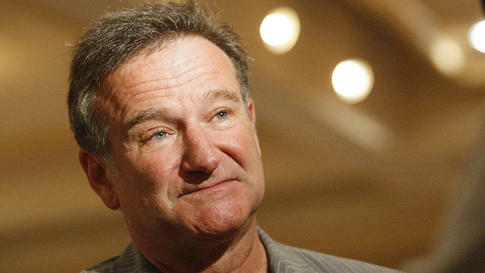 Mr. Williams suffered from two insidious diseases: depression and addiction. It is not for us to judge what he was going through. We can only mourn the loss of a great talent, and learn from the way his story ended. Kayla – there you go again making perfect sense and putting words to what so many of us are thinking. I admire your wisdom and your courage to write truths and share your testimony of life and the Savior’s infinite love for us all. I am grateful that the Atonement is for all of us – individually – no matter our circumstance or the paths we choose. Thank goodness that God “looketh upon the heart” and I know Robin Williams and all of us will be judged not by our final moments, but by our lives as a whole. Not one life is the same as another. I think the smiles and the light he gave to others will far outweigh his final acts in the eyes of the Savior. Now, I think I’ll go have a Robin Williams’ movie marathon. Thank you for this. I too read the other blog posting you referred to and felt dark after reading it. Thanks for applying a personal experience to an otherwise unimaginable act. Suicide is a choice. I know because I suffer from depression and I make the choice everyday not to commit suicide. My dad committed suicide because he wanted to be in control of the way he died (he had lung cancer). So he put a bag over his head and hooked it up to a helium tank and for 8 long minutes gasped for air. The aftermath of that action has been unimaginable. I have compassion for Robin Williams because I too have been depressed but no matter how kind and ethereal anyone makes it sound, suicide has an aftermath for those who are left and one person’s CHOICE creates that aftermath. Thank you. I read Matt Walsh’s blog too, along with some other varied insensitive Facebook comments and I felt compelled to write a brief post about it on my own blog, Making It Up As I Go. I have included the link below. Thank you for this post, Kayla. Too many people in the world and in the church really don’t understand that all the great and wonderful things one can have in life just don’t make a difference when your depression triggers put such a weight on a person that you can’t see beyond them. Kayla, another beautifully written post. This time I will have to disagree. I want to preface this with I read Matt Walsh’s post. Also, I have suffered deep depression and held a pistol in my lap. I agree with you that yes, Robin Williams did forget who he was and all of those he loved, who loved him. Yes, we should not judge and should look around and recognize those who have lost their way, who are dangling from the proverbial edge, and reach out and try to rescue them. But ultimately, suicide is a choice. I am not saying it’s cowardly or that the person who chooses it is thinking of the selfishness of the act. But they and only they make that choice. I have great compassion for the Williams family and mourn the loss of the great gifted man he is. I am so very sad that someone wasn’t able to reach him before he chose this way to solve his problems but I believe it was his choice. Right or wrong, he decided. The message I got from Matt Walsh is that we should never give someone the impression that its the only choice or that its an okay choice. I felt that he was worried that the media was giving the impression that it’s an appropriate way to handle life when you are on the ledge and can’t move and that those who are there might look at this situation with Robin Williams and think that this is the only way. I didn’t feel like he was judging depression as being trivial or something that isn’t real. He was saying, to me, there are other ways. Don’t CHOOSE this way. Please read this blog post. I think you might feel differently about it being a “choice”. Excellent article and counsel from our Prophet and leaders. Thank you very much for sharing! Thanks for sharing this post. It gave me food for thought. I do not judge others because I am not them. I guess what I am saying is that for me, suicide was a choice that I did not make. I am so grateful for our Savior and his mercy. I believe that He will will make all things right. Thank you again for your wonderful blog and the insights you so eloquently share. I know you touch many many lives for good. As someone who went through with the “suicide” and lived because of the grace of God….I truly understand his pain and suffering…..NO one understands until they have been through it by a personal experience and experienced the loss of someone through suicide….Please don’t judge…you’ve never been through the debilitating aspect of a depression so deep that the only way to end it is “letting” go of the pain….finally! RIP Mr. Williams….you will be missed!! Denise you are so right. People should not judge unless they have been through it themselves . In my case I just wanted the pain to go away that was all I was thinking about, not my family, not my friends, I just wanted peace. I couldn’t agree with you both more. Like anything in life, if you haven’t experienced something personally – whatever it is – you have no place commenting or criticizing. Until you have felt so down in despair that you think nothing can pull you out…real hopelessness…you don’t truly understand. I disagree with your post. Wholeheartedly. You and everyone who agrees with you are entitled to the opinion you expressed, but it is wrong. Sorry. Comparing a fear of heights to fear of living is not a very good analogy. Here’s why: Fear of moving forward on a mountain climbing excursion paralyzes the individual to inaction. Suicide is the opposite. It takes great willpower to overcome the body’s natural desire and instinct to live. It takes great effort to build up to it, and in some cases, to finally accomplish it. It may take months, or even years to convince your body to cooperate with your desire to end your life. That is part of the reason why many suicide attempts fail. The individual is not able to overcome their own survival instincts. I have known several people (including myself for a short while) who have suffered from depression and/or bi-polar disorder. I have known individuals who contemplated, or attempted, or succeeded at committing suicide. Never once did any of these people confess to being so overcome that they literally could not stop their destructive actions. Every person who has spoken to me about suicide has told me in no uncertain terms that they felt like they were failures, both because they got low enough to consider/ attempt suicide, and because they failed to do it. It is a willful act. Period. End of story. Depression is a difficult, tragic inner struggle that can take over your entire life. That is why it is important to fight against it, and fight hard! It is truly sad when an individual hits rock bottom and decides to take his/her life as a result. I agree that it is not our place to judge individuals for things that we can barely comprehend, but lets call apples, apples, shall we? Its very sad that’s for sure. God knows are hearts he knows our names and he loves us but we will suffer the consequences for our choices and yes Robin did choose to take his own life no one made that choice for him its just very sad he did not think his wife and family he left behind and people who laughed with him and loved him. Thank you so much for this article. May God continue to use you. While I usually appreciate your deep sense of mercy and compassion. I could not disagree with you more. Here is why: “timsh’l” the Hebrew word means “thou mayest” meaning that mankind is neither compelled to pursue sainthood nor doomed to sin, but rather has the power to choose. Found early in Genesis… we choose. I pray God have mercy on his soul. 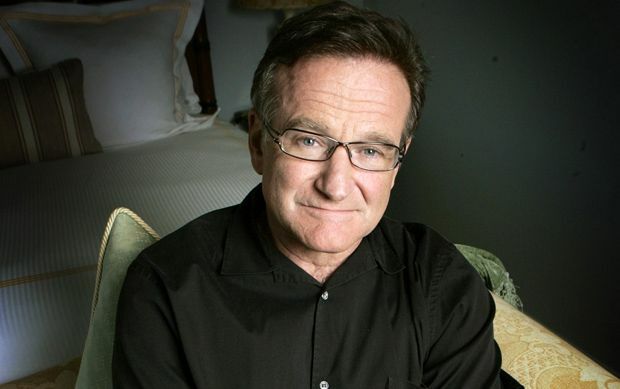 How can Robin William’s suicide and thinking about it make me be a more compassionate person? I feel like this is what I need to ask rather than How can I judge? I will try to recognize when someone around me needs support or love. This was so true. I too have suffered with depression most of my life. When my late husband died in 2000 I did not think I could go on . I was sitting in my chair with a bottle of wine and a hand full of pills because I wanted the pain to go away. Do you know I what saved me is was my husband dog. She would not stop barking and barking. I finally got up and let her out to stop her from barking. I know she saved me . Sadly last year I lost my sweet Cassie, but I will be forever grateful. She is in heaven with my late husband. I have since remarried and blessed with a wonderful man. We have been married for 12 years and with the help of medication I am doing well. I think one of the problems I’m having with your post is that you (and a lot of other people) are putting their own spin on what Mr. Walsh wrote. I read his post and didn’t feel any darkness afterwards. He states several times that depression is something he has experienced and that he has been touched by suicide, he just didn’t go into the details of his experiences. And because of that, people are accusing him of not caring, of making light of the issue, and not having compassion. Was there a particular part of his post that made you feel dark? I find it interesting that in your post you didn’t tell us how you finally got down, because you obviously did. Did someone help you down? Did you finally find it within yourself to move so that you could get down? Please finish the story. I would love to know how it ended, because it didn’t end with you dangling there, which is where you left us. Here’s Mr. Walsh’s response to some of the criticism he has received from writing his original post: http://themattwalshblog.com/2014/08/13/depression-isnt-choice-suicide-response-critics/. I have to agree that it is a choice. To say it isn’t a choice would be taking away the gift of agency that God gave us. However, there is something to be said about having compassion and no judgement for people who struggle with depression. It is a very real thing and many people don’t understand the darkness that accompanies it. I also read the other blog and felt the author was very bold. I did have and see issues with how all if this was handled by social media, almost glorifying Williams and his choice. This is a topic that does need to be brought to light. Mental illness needs to be talked about and it is good to know the facts. Depression and suicide are not easy or glorious. We need to be better as a people at reaching out and taking care of each other. Well said, Candice. To me this ties in closely with all the words and counsel given in General Conference this weekend that we should reach out a hand to those that need help whether it be the poor or others in need. It is not a walk in the park to realize one day that you have sunk so deeply into despair that you don’t know how to find your way back…or if you even want to make the effort. I have read your blog and it’s comments, along with the firestorm of comments that Matt Walsh’s blog also created. I am not a psychiatrist, nor have I ever suffered severe depression and am not close to anyone who has. That may render me “ineligible” to voice an opinion. I will anyway. I believe in agency. I also believe people when they write in defense of the “lack of choice” anyone who is in the depths of the deepest dark depression say they don’t have. I believe both points of view are valid, and dependent on one’s circumstance and personal condition. When someone is in the middle of their deepest darkest – a person may very well be or may feel they are out of choices at that point. I believe the point Kayla and Matt are trying to make is …. we must do everything we can to keep from getting to such a dark place. Certainly the clinically depressed who have commented, say they “have been” there. Clearly, they made it out or they struggle daily to keep the debilitating symptoms and ultimately, suicide, at bay. That would indicate there are days when the depression loosens it’s grip. THOSE are the days to make the choices; to ask for help, to see a Dr., to find religion, to join a Zumba class, adopt a puppy, to do whatever it takes to stay out of the grasp of the days and the circumstances that may lead one to suicide. Maybe my thoughts are too simplistic. My prayer is that those in their deepest darkest might at the very least hang on for one more day. I believe things always look better in the morning. i think it’s presumptuous to think hat he ‘forgot’ about his family and friends and viewers . you don’t know if he had planned out his suicide . you don’t know if his wife and daughter knew already . you don’t know if this was something that had been intricately thought out and was facilitate by several people . i don’t know . I’ve tried to kill myself 4 times int he past week and each time i tell someone that i don’t feel GOOD -the fundamental , basic definition of GOOD , not sick vs. healthy , but GOOD- and i want to end my life because i truly don’t think it will get better enough for me to continue to live it , I’m bombarded by guilt from these people that are supposed to love me . i’m not selfish or lost or forgetful if i choose the outfit i wear or the music i listen to or who i date but somehow once it comes to my existence everyone else has a say ? and I’M the selfish and weak one for choosing to acknowledge my basic human instinct to survive and go against that and make a change ? no . If you’ve never been so depressed you literally cannot get out of bed to relieve yourself than i don’t think you agev any business speaking on the subject of suicide . especially expressing a point such as Robin Williams , a great and generous soul , could just forget about his family when he was that sad . maybe he did . maybe he didn’t . But to say it with such certainty followed by a story about rock climbing on a honeymoon where you were clearly safe and systems were set in place to prevent you from falling and you were feet away from the love of your life as your scariest moment … it’s condescending and presumptuous and as someone who is going through a very depressed time , I don’t appreciate it too much . though i do appreciate you reaching out and touching on the subject and i do not mean to be rude or degrading . and also since you’re writing from ‘god’s’ perspective and wanting us to not forget our purpose … what IS the meaning of life and what IS our purpose ? if you know , enlightening us might help . Anais – I am so sorry you are hurting so terribly! I wish I could reach through the screen and fix it for you! If your family is making comments that in turn bring more negative feelings, or provoke guilt, it’s because they know and understand that loosing you would be devastation for them. Choosing to take your own life is not even on the same level as choosing what to wear or eat or date. Tomorrow you change clothes, enjoy a different flavor or find a new boyfriend. There is no way to change death, at least not in this life, and it’s possible you are so low right now, that you are numb to that reality. Choose wisely, my precious friend. God Speed! This is a good story and sorry about being late to post. I think a few things are missing from any story about Mr Williams death…the fact he was taking meds or not hasn’t been mentioned too often (or maybe it has and I missed it). Meds especially psychotropic meds are some of the most dangerous substances on earth, and should be taken off the market until thoroughly tested properly (not by the maker of the drug) and you will find these to be about as effective as a placebo. I’m living proof that these meds can kill or nearly kill you if prescribed by a careless Dr or incompetent pharmacist fills the prescription. I think he was on meds and anyone taking meds think twice before taking them…check out the real side effects not just the side effects posted by the manufacturer. The public does know these are put out by corrupt companies along with a corrupt fda I hope. Regardless, anyone that thinks suicide is the easy way out…how do you know, have you tried it lately and come back like Jesus? I guess it’s more manly to shrivel up and die or just exist, yes that sure seems like a tough guy approach indeed. The human body has a built in mechanism to protect itself…you are basically overriding that instinct, and that’s supposedly easy? He died from depression, that’s what killed him….